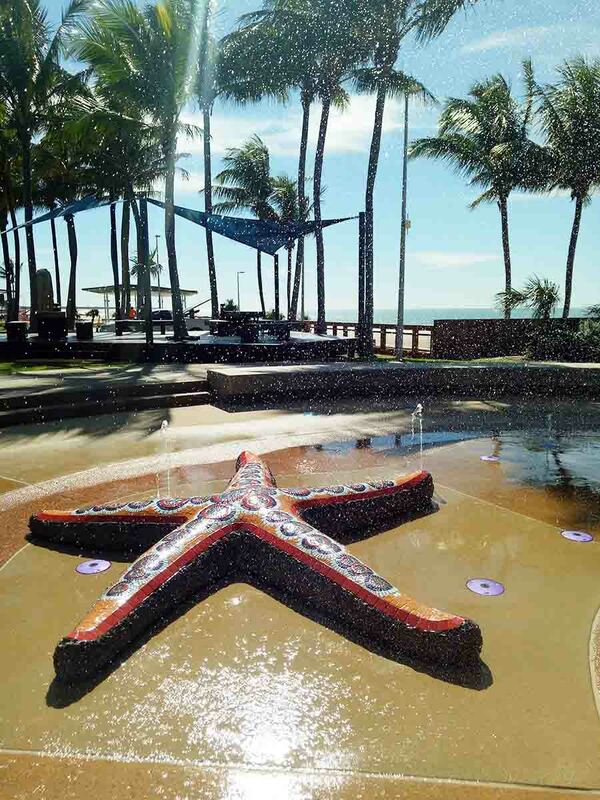 Right on the Yeppoon Foreshore, the Keppel Kraken is a zero water play area unlike any other in Queensland. A sea creature wonderland set against the spectacular backdrop of Keppel Bay. 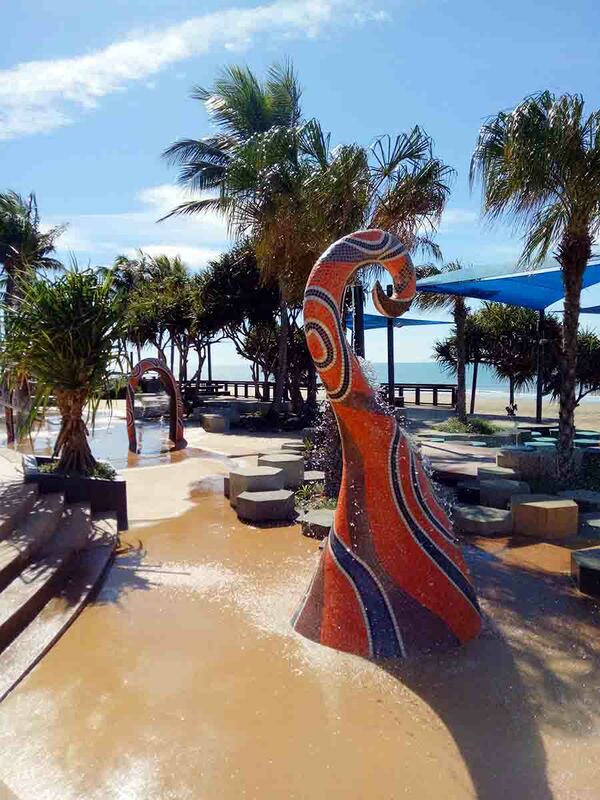 Keppel Kraken is a free to access water play feature on the Yeppoon foreshore. 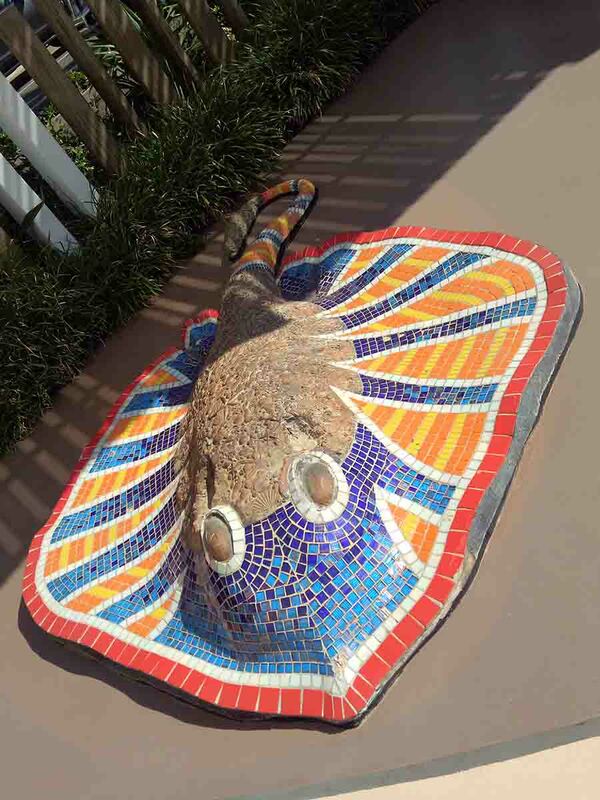 With sea creature sculptures adorning the zero depth wet area and set against the spectacular backdrop of Keppel Bay. 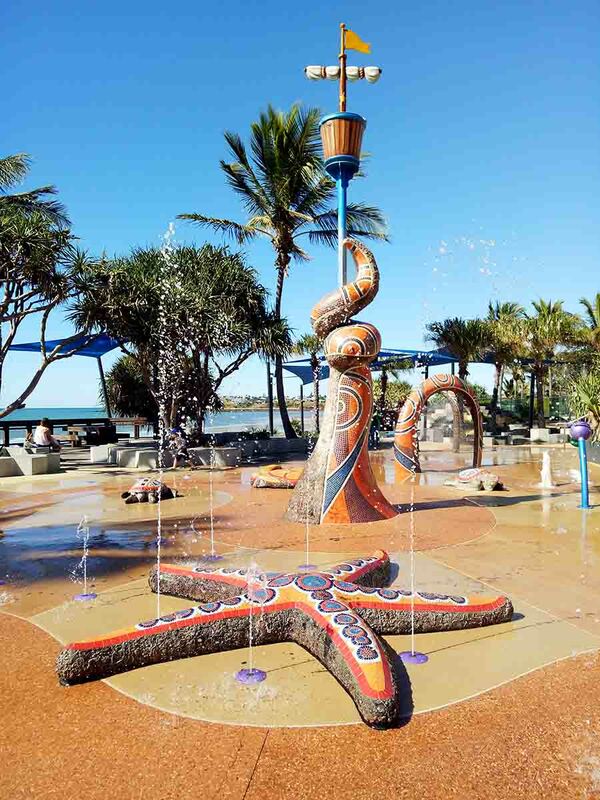 Featuring a host of interactive elements including water cannons, jets and an umbrella bucket, the Keppel Kraken is heaps of fun for families with young kids. Timber decks and custom-made picnic tables are available to enjoy a summer barbecue while the kids make the most of the play area. It’s great to sit at even if you’re not swimming. 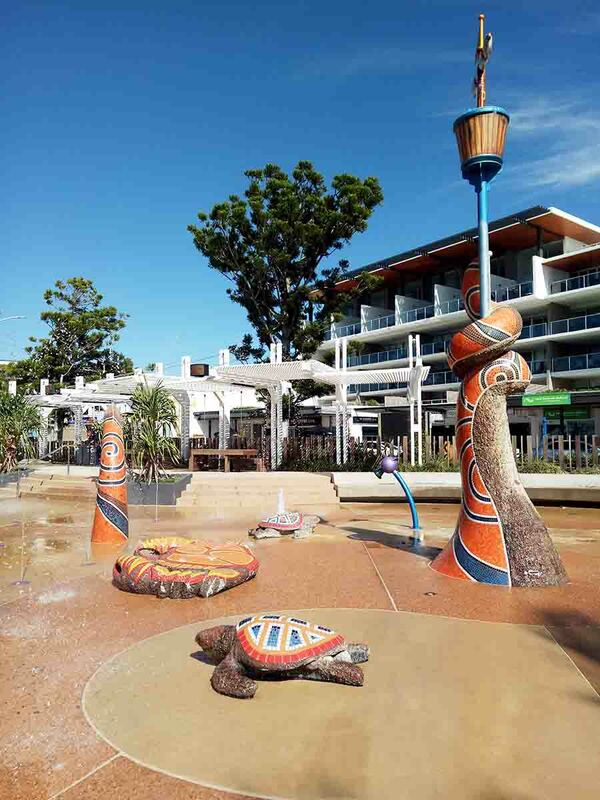 The water jets spraying constantly creates a cool atmosphere that is perfect during the summer months. Families looking for a place to dip into the water can make their way south about 500 meters to the Yeppoon Lagoon. 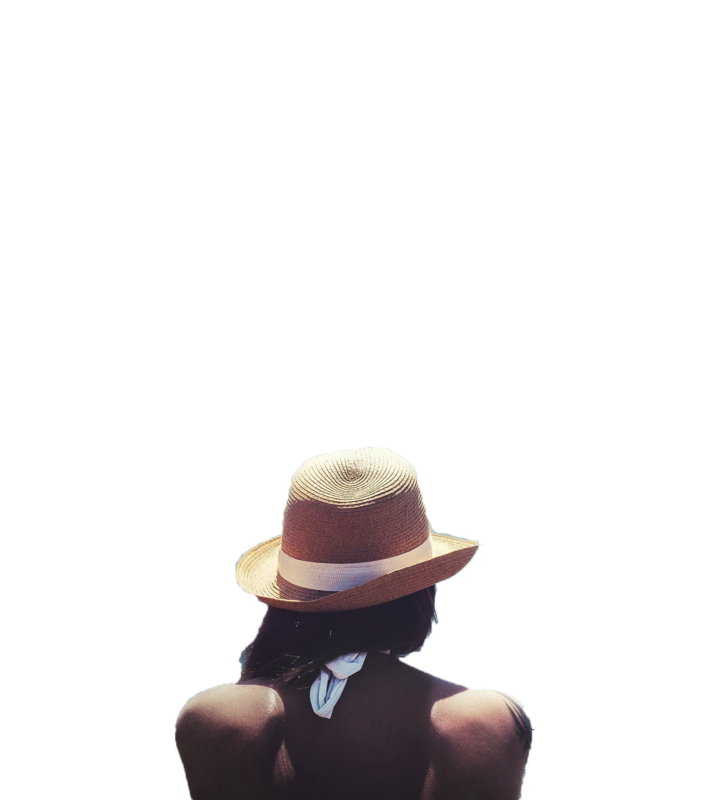 The lagoon has varying water levels as well as a zero-depth play area to suit the smallest of the crew.